Editor’s Note: This is Self-Published Author Week on The Ball! Each day we’ll feature a new self-pubbed author, and a giveaway of her book! I am so excited to have Dahlia Adler as my guest today. When I first peeked into the world of publishing, her blog and Twitter feed became my first must-follows. Not only is she a guru of book recommendations, but she is also full of writerly wisdom and always generous with her time and advice. Her blog covers topics not often discussed, like what to do when you have to leave your agent or the tricky etiquette of querying. Now she’s one of my favorite YA and NA authors. I’m giddy that she agreed to stop by and share some of her experiences with us! Sounds amazing, right? Comment on this post for a chance to win your own ebook copy. Details are below. Now let’s here more from Dahlia! Tell us about why you decided to self-publish LAST WILL AND TESTAMENT? I’ve been a fan of NA since its beginning, and I’ve loved following its evolution and the way it came up through self-publishing. It’s a fascinating thing to me, how some intrepid authors and readers blew this thing up because they wanted it and the industry wasn’t giving it to them. And on the flip side, as someone who’s worked in publishing her entire adult life, I’m also fascinated by the industry itself, and always want to learn about it as much as possible. So when I found myself needing a break from YA and picking up a story idea I’d had percolating for a while that was squarely in NA territory, and I ended up loving the resulting finished manuscript, I knew self-publishing was the right move for it. Also, to be brutally honest, with the exception of very, very few imprints, I didn’t feel traditional publishing was doing much for NA authors I couldn’t do for myself. In-store placement is fantastic, if you can get it, but even with that—when such an extreme percentage of NA purchases are digital, how much does it matter? Of course, these are completely personal choices—if you’re getting a solid advance, if you really want to see your book in stores (which admittedly is something I had the luxury of caring less about because I already had traditionally published YA), if you really don’t want to self-publish for any of a million reasons… But for me, I felt like I could do as good a job for myself as traditional publishing could do for me, and what’s more, I actively wanted to try. What was the most challenging aspect of self-publishing? The most rewarding? I was sure I was gonna become this self-publishing guru who was gonna learn alllll the things along the way. Oh, what a sweet summer child I was. The truth is, every single aspect required research I didn’t have time for, or technological skills I didn’t possess, or just…the ability to have a fully working brain, which I didn’t really have for a while either. (Full-time job plus traditional publishing contract plus self-publishing is actually a terrible combination. The more you know!) I am so, so grateful for the people who showed me infinite patience when it came to answering my ridiculous questions; to the people I was able to hire on the spot to do things I couldn’t; and to everyone who held my hand in some way. Probably the most rewarding thing for me was how many people made it their very first NA read, and enjoyed it. It’s a tremendous thing when people trust you to take them out of their comfort zone, and extremely validating when they take that trip with you and end up being glad for it. What advice would you offer to an author who is considering going the self-pub route? My big ones are: don’t do it until you can do it in a way that’ll make you proud, because that book only comes out for the first time once; get yourself a network of great and helpful friends, because there will be so many questions and difficulties along the way and they can make all the difference; and don’t let your promotion plan rely solely on Romance blogger reviews, because they are so inundated with requests, they are by no means a guarantee. If you were a cocktail, which would you be and why? I’m not a big fan of the taste of alcohol—even wine—so my favorite combo is something I call the Trifection: Bacardi (preferably fruit-flavored), Fresca, and grenadine. I love how well the alcohol is masked by the sugar—insidiousness masked by sweetness. That’s my cocktail. Editor’s note: I’m making one of these right now! Brilliant! What’s next for you? Up next I’ve got my second YA release, UNDER THE LIGHTS, a Hollywood dual-POV friendmance, in which one of the POVs is half of an f/f romance. Then I hope to release my second self-published NA, called RIGHT OF FIRST REFUSAL, at the end of the summer, and my third, OUT ON GOOD BEHAVIOR, at some point this year as well. I also have another contemporary YA, called JUST VISITING, out in November. So, it’s a busy year! My Goodreads To-Read queue just got longer! Thanks for stopping by, Dahlia! 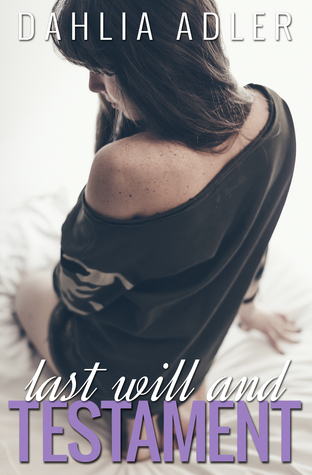 GIVEAWAY: Comment on this post by Noon (EST) on Monday, April 20th to win an ebook copy of LAST WILL AND TESTAMENT! Winner will be announced on Amy’s blog post Tuesday, April 21st. Follow The Debutante Ball on Facebook and Twitter for extra entries—just mention that you did so in your comments. Good luck! 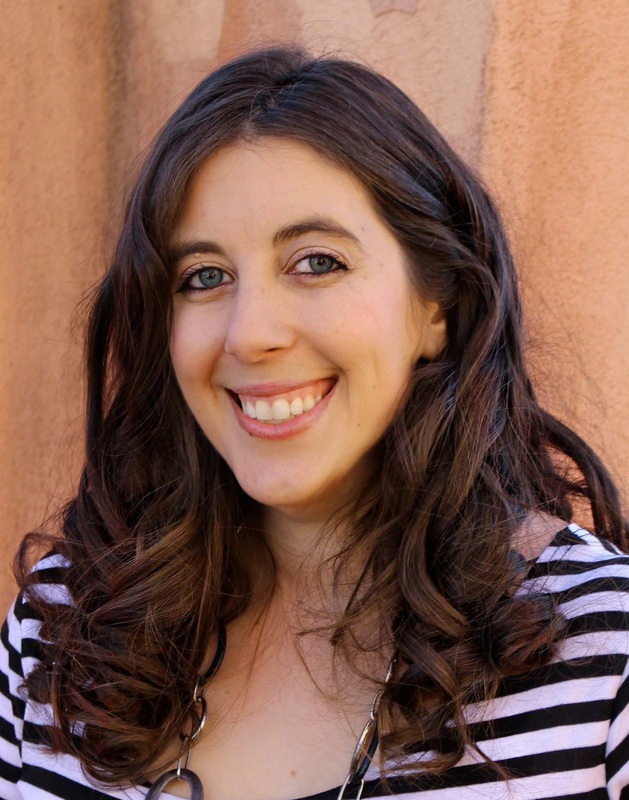 Dahlia Adler is an Associate Editor of Mathematics by day, a writer of YA and NA contemporary by night, and a blogger for the Barnes & Noble Teen blog at every spare moment in between. She is the author of Behind the Scenes, Last Will and Testament, and the upcoming Under the Lights. She lives in New York City with her husband and their overstuffed bookshelves. You can find Dahlia at all of these places. Tell her The Debutante Ball sent you! ← Travis Neighbor Ward’s 3 Tips for Self-Published Authors + a GIVEAWAY! Hey, Karma! Thanks for having me! NA is such interesting territory — and your market assessment seems right on. Fascinating that so much of that market is digital right now. Do you think it’s because bookstores haven’t really figured out where to find space for the genre yet? Or is it a reader preference? I think it’s both. I often go looking for NA in bookstores, and I find it in Romance, which isn’t wrong, but that’s placed so far from YA – where I spend most of my bookstore time – that I’d never spot it without looking for it. But I think the YA audience is a lot of the NA audience too, and for bookstores to feed into that, placement-wise, is a huge challenge – the children’s section and the romance section are never gonna be right next to each other. But I do also think it’s reader preference – it’s the “one-click” style of purchasing, the easy browsing…not to mention that NA is *very* trope-heavy, so to be able to easily find your tropes of preference by keyword is no small thing. Plus they’re so easily and frequently devoured that who can/would spend $15 on each rather than .99-4.99? For me, $3.99 is the max I’ll spend on a new NA author, which is why that’s where I priced my book. I’ve just gone through far too many I didn’t feel were there yet, and I won’t return, but I’m OK to DNF from $3.99-and-down without feeling too mad about it. Dahl is always so resourceful Great, informative interview. I’ve been meaning to pick up this book! I love the sound of it, and the cover is gorgeous! Great interview! It’s interesting, but the place I’ve noticed NA in print is at Target. Probably because the book section is so small at our Target, the NA stands out in its niche along one wall. And it’s right next to the YA books! That being said, I prefer to buy my NA digitally, because I love having my e-reader loaded with inexpensive, fun reads for late-night reading. “Insidiousness masked by sweetness” sounds like a great motto for approaching a plot I’m developing right now. And perhaps even this comment, due to my ulterior motive of hoping to win a copy of the book! (I went so far as to follow @debutanteball, so you know that I am serious.) Thanks for the post and for the giveaway. This book sounds amazing! And I love the cover.